We’d love your help. Let us know what’s wrong with this preview of Light by Gaby Morgan. A free poetry book to celebrate National Poetry Day 2015 with poems on the them of light from Deborah Alma, Brian Moses, Chrissie Gittins, Liz Brownlee, Michaela Morgan, Jan Dean, Paul Cookson, Roger Stevens, Joseph Cohelo, Indigo Williams and Sally Crabtree. National Poetry Day is a mass celebration, a special day on which all are invited to discover and share the enjoyment of poems. It's a chance to let language off the leash and to relish the sounds that words can make when they are spoken with delight. We hope that the poems in this book - all inspired by this year's National Poetry Day theme of light - will kindle an enthusiasm for poetry that continues to grow long after the day itself,Thursday 8 October 2015, has passed. To ask other readers questions about Light, please sign up. What a lovely little book! I first found this book hoping to just get a broader taste of some of the more recent poets, but was pleasantly surprised to find that this book not only had great poetry, but also people's thought processes, advice, and inspirations. What a better work to read during National Poetry Day? If only I had known it existed beforehand. Re-reading this book is definitely something I hope to do when the day rolls back around! This book would also serve as an amazing education What a lovely little book! I first found this book hoping to just get a broader taste of some of the more recent poets, but was pleasantly surprised to find that this book not only had great poetry, but also people's thought processes, advice, and inspirations. What a better work to read during National Poetry Day? If only I had known it existed beforehand. Re-reading this book is definitely something I hope to do when the day rolls back around! The layout used in this book of collected poems is clever. There's a poem, author bio, tips on writing, and a selected poem from a well-known poet. It really breaks it up and makes 'Light' easy to read. My favourite piece here is "Playing with Stars" by Brian Moses but "Beware The Grey" by Paul Cookson is a close second. This is a freebie, by the way, so there's no excuse for not reading it. This is a cute collection of poetry with the theme of light. I enjoyed reading this and thought it was a lovely collection with great ideas. A great little collection of poems brought together all using the theme of light. Each poet has a section of the book dedicated to them where it says little about who they are, shows the poem they created using the theme of light, what their inspiration is to writing poems, some writing tips on how they create them along with a favourite poem of theirs by someone else. 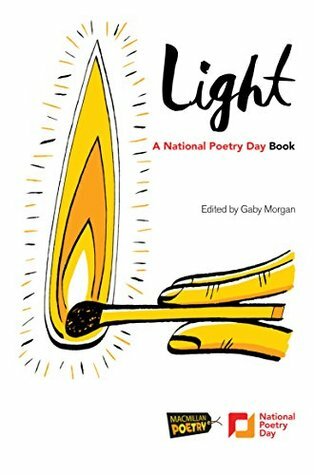 A great reference book for people who want to get a feel for whether they would like poetry – either to read or maybe have a go a A great little collection of poems brought together all using the theme of light. Each poet has a section of the book dedicated to them where it says little about who they are, shows the poem they created using the theme of light, what their inspiration is to writing poems, some writing tips on how they create them along with a favourite poem of theirs by someone else. A great reference book for people who want to get a feel for whether they would like poetry – either to read or maybe have a go at writing for themselves. My favourite poems were Playing with Stars by Brian Moses and Beware of the Grey by Paul Cookson. can jump over stars or shake down a star. Stars grow pale and die it you cage them. falling from the sky when there’s no one there to catch them. I liked this one as it shows the innocence of children and the use of their own imaginations. It shows how when you get older you tend to lose that child like essence and it takes a child imagination to try and bring it back to you. How many of us as children thought you could catch a star? I know I did – I mean there was even a song about it ‘catch a falling star and put it in your pocket save it for a rainy day’. I liked this one as it’s trying to get you to be aware of things that could bring you down. It wants you to dream big and never give up on them. Don’t let anyone say you can’t do it, just always try your best before your dreams start to fade away. This was a free download for National Poetry Day. It's a nice little collection on the theme of light and there are several gems in there. Most of all it reminded me that I keep meaning to read more poetry! Maybe next year.